Posted: Monday 22nd October 2018 in Owned and earned media, Paid Media, Retail Strategy, Thought Leadership. As Christmas peak approaches, different channels must work to plan and perform with success. As the way that consumers shop online diversifies, it is more important than ever to have a peak-focused strategy across all digital marketing channels. A cross-channel approach is crucial for success this Christmas. Here is a roundup of our key channel considerations for Christmas peak digital marketing. Search engine optimisation (SEO) is crucial for your website to provide results during Christmas peak. At Summit, we always recommend aligning your SEO objectives and activity with your KPIs over Christmas peak. For technical SEO, check with your developers to see if they are going into a code freeze. Establish what will be needed in case of this event and how you can best use your time. Perhaps this time could be used to support digital teams or support a content marketing campaign. 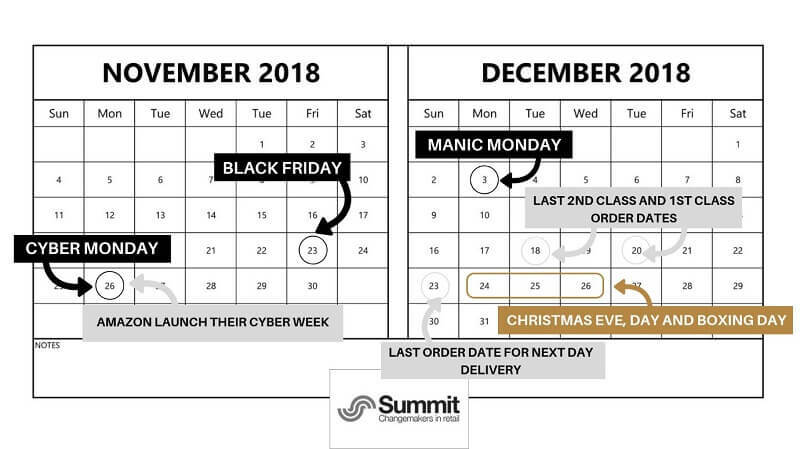 If you are planning a peak content marketing campaign, consider planning in advance, align with online Christmas promotions and gain support from paid media teams to boost your campaign on social and through PPC extended sitelinks. From a content perspective, ensure that all priority pages are optimised. Check all html formatting as well as alt text, video embedding and internal linking. You could also reduce the size of any images to ensure faster page speed and make sure that all delivery and returns information is correct for the Christmas period to avoid any customer complaints. To gain as much benefit as possible from your SEO performance, it is essential to get important information from key stakeholders and use it to your advantage. What is your offline content marketing plan? Will any extra reports over the Christmas period be needed? When is the Christmas wash-up planned? During peak, it is essential to adapt your normal strategy and reporting to align with peak activity. Plan reporting templates in advance and book in any extra time needed for communication with the stakeholders. Budget and performance activity planning is crucial during Christmas peak. Maximise results by collaborating with ecommerce teams and focusing on top performing products and categories. Keep a close eye on competitor activity; what promotions are they running? Are they using all extended sitelinks? Be sure to use your full site information, search trends and re-distribute budget as required. Another key consideration for paid media is making note of key dates and remembering to check account history and performance. For example, Amazon launch their Cyber Week 26th November until 2nd December. What will the impact be on Impression Share during this week? Did CPCs increase last year at this time? For ecommerce and trading teams, competitor analysis is a main consideration for peak digital marketing. Daily checks of competitor and reseller product prices and activity are crucial to ensure your brand is always on top. Ask yourself; are you price competitive? Are your competitor insights influencing your approach? Another crucial piece of peak advice for ecommerce and trading teams is to ensure you know what your capabilities and restrictions are in terms of product photography, videography and promotions. If you can go that one step further and respond reactively to competitor activity or industry trends, you will know who to contact and where to get sign-off in terms of creatives. 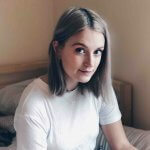 The key consideration for affiliate channels is ensuring all creative messaging and budget activity is planned in advance. Ensure USPs are aligned if needed and that all banner creatives are on-brand and relevant. What does your promotional planner look like for key dates over the peak period? When will the peak budgets be provided? Will there be any additional budget to enable reactive re-distribution of budget? You should always ask your affiliates and affiliate networks for more information over the Christmas peak period. Make sure they supply you with contingency plans for any unexpected downtime and provide you with Christmas cover details. Your affiliates could also have a Q4 media pack or wash-up material from the previous year that could be useful to your team. When is your last order, click & collect or delivery date before Christmas? What is your offline marketing plan? Do you have enough Christmas holiday cover in key areas? Are there any extra reports which you are likely to need over the Christmas period? What are your top product categories over peak? What does your promotional planner look like for key dates? What is your paid media spend budget? Is there additional budget available if performance is strong? What 3rd party tools are you planning on implementing? When is the last stock order planned? What is the plan if you experience any site downtime? Remember, if you have websites in multiple territories or that are based outside the UK, they may have different bank holidays or cultures around working at Christmas, so make sure all of the digital marketing channels understand these. To ensure a successful peak period in 2018, check out our intriguing peak trading insights and adapt your digital marketing strategy to merge channel activity and align to your Christmas KPIs.